That's what Gawker Media founder Nick Denton wants the media world to know, even though he had to file for personal bankruptcy on Monday. "I have, as expected, had to join the company in bankruptcy," he wrote in a memo to staffers. 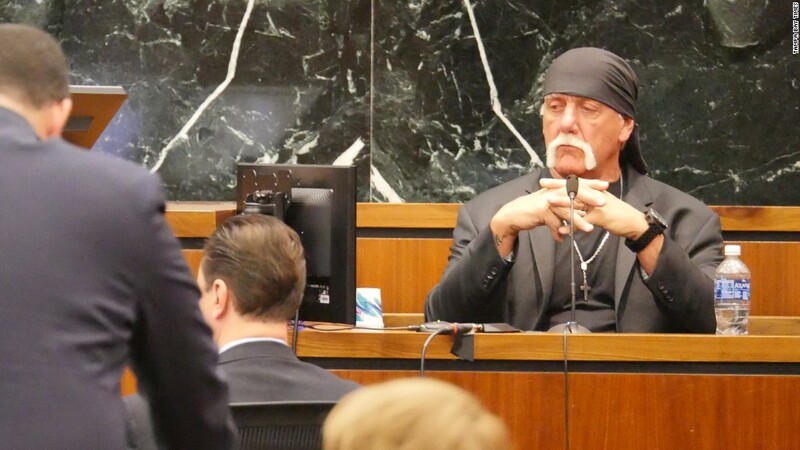 Denton is one of the defendants in Hulk Hogan's invasion of privacy lawsuit against Gawker. The suit, secretly financed by Silicon Valley billionaire Peter Thiel, has hobbled Gawker's business as well as Denton personally. After a Florida jury sided with Hogan and awarded him $140.1 million, Gawker filed for Chapter 11 bankruptcy, forcing a sale of the controversial digital media company. A court-supervised auction of Gawker Media's assets is now taking place. The tech publisher Ziff Davis submitted an opening bid of $90 million earlier this summer -- a far cry from the $200 million pre-trial valuation of the company. Other, higher bids are due by August 15. The winner is expected to be announced on August 18. Mark Patricof, the banker who is advising Gawker Media through the auction process, told Bloomberg on Monday that "there are between a dozen and two dozen interested parties at this point." Money from the sale will be placed into escrow, pursuant to the result of Gawker's appeal in the Hogan case. Denton has expressed optimism that Gawker will win on appeal. But in some ways he has already lost. Gawker's own media reporter, J.K. Trotter, reported that "Denton is personally responsible for $10 million, and jointly responsible, along with former Gawker editor A.J. Daulerio, and Gawker Media itself, for $115 million." "Chapter 11 bankruptcy will prevent Hogan, whose real name is Terry Bollea, from draining Denton's bank accounts or seizing any of his assets," Trotter explained. Daulerio also intends to file for bankruptcy. On Monday Hogan's attorney, David Houston, said that Denton and Daulerio's "legal maneuvering is nearing an end," adding, "It is time for them to take responsibility for what they've done." Denton, meanwhile, has sought to put the spotlight on Thiel, the billionaire entrepreneur who bankrolled Hogan's lawsuit behind the scenes. Thiel, who resented Gawker Media's past stories about him, confirmed in May that he financed Hogan's "fight against a bully's gross violation of privacy." He said the action against Gawker was about deterring other publishers from similarly hurtful behavior. Gawker's now-shuttered tech blog Valleywag previously wrote candidly about Thiel's business dealings and personal life, publishing a story in 2007 titled, "Peter Thiel is totally gay, people." In Monday's memo, Denton called Thiel's legal campaign "a personal vendetta." "And yes," he wrote, "it's a disturbing to live in a world in which a billionaire can bully journalists because he didn't like the coverage." But Denton said he is in a "positive frame of mind" because the company is seeing healthy web traffic and advertising revenue. His memo doubled as another pitch, perhaps, to prospective bidders. "The brands and the business, which we have built together, are in amazingly robust shape," he wrote. Patricof told Bloomberg that potential buyers "should take Nick's role going forward seriously." Denton has spoken with associates about possibly buying back the Gawker.com franchise from whatever company takes ownership of the company's other web sites.